Photo-luminescent Exit Signs | Parker Lighting, Inc. The California Code of Regulations specifies that exit and exit directional signs which are required to be electrically illuminated shall be lighted with two electric lamps, either one of which shall be sufficient to provide the required luminance on the face of the sign.Additionally, recognizing instances occur where getting electricity over a door may be very costly or prohibitive, the code also stipulates that radioactive isotope self-powered signs with a luminance of not less than 0.02 lamberts during its useful life will be acceptable. Photo-luminescent exit signs meet this code requirements. Most will adequately light an area beyond the 50-foot requirement for at least 90 minutes, affording those inside with directional guidance and visibility to safely exit. By installing photo-luminescent exit signs in the necessary locations, all requirements to illuminate exit signage so that to any occupant of a building may have the ability to exit safely when power is interrupted are met without costly expense of an electrician wiring your building to get electricity over the doors to illuminate exit signage or installing these signs. 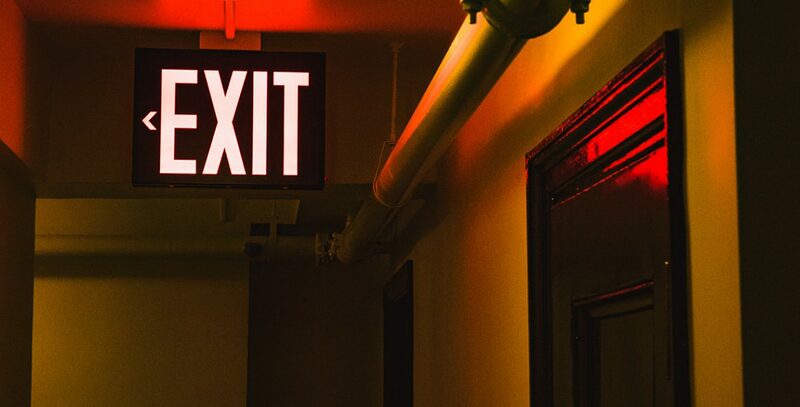 Parker Lighting, Inc. team members know the California code requirements and will assist you to select the appropriate code-compliant photo-luminescent exit signs that will meet all of your requirements.